Our 100% organic cacao powder is sourced from the raw beans of the Theobroma Cacao tree, which have been fermented, peeled, ground into a paste, then dried and finely ground into powder. It’s a natural source of all three of the macronutrients — protein, carbohydrate, and fat — along with essential minerals, potassium, phosphorus, magnesium, iron, copper and manganese. Packed with nutrients and low in sugar, this is a great natural ingredient to flavour your food and drink in the place of regular chocolate powder. It’ll support your training goals by helping you hit protein requirements to grow and maintain important muscle,1 plus potassium supports muscle function2 and normal blood pressure,3 and magnesium supports normal metabolism4 — helping you to feel and perform at your best. It also provides a natural energy boost,5 making it the perfect addition to your pre- or post-workout protein shakes. 2. Magnesium and potassium contribute to normal muscle function. 3. Potassium contributes to the maintenance of normal blood pressure. 4. Magnesium and copper contribute to normal energy-yielding metabolism. 5. Iron and magnesium contribute to a reduction of tiredness and fatigue. When to enjoy Organic Cacao Powder? This is ideal to use in place of regular chocolate powder to flavour smoothies, coffee, desserts, or as a rich hot drink on its own. 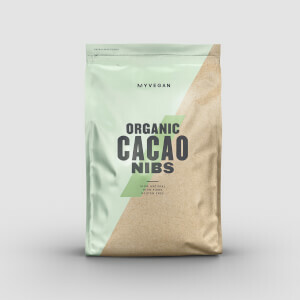 What to enjoy Organic Cacao Powder with? Mix up a delicious protein shake by combining with our Organic Whey Protein — delivering 20g of protein from strictly controlled, certified organic dairies. I made the mistake when first used this to add 10 grams, which just ruined everything as it tasted too bitter. Now I just use a teaspoon or two & taste before adding more. It's so much more palatable now & I enjoy the dark chocolate taste. Exactly what was promised! Also great value, flavour and consistency! Personally love it as a hot chocolate substitute or with a little boiling water to create syrup for pancakes. A small spoonful in a coffee shake creates a mocha option also! Really lovely flavour that's not too bitter! 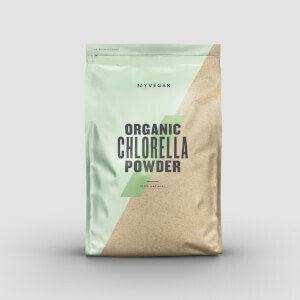 A great tasting powder that I use in my own shakes with milk,raw egg and Collagen Protein. I also now use it in my teenagers milkshakes where I replace the three heaped teaspoons of well known shake mix ( which once I looked at the label I realised is 75% sugar), the kids love it and I am happy we have cut their sugar intake down substantially. everything. Protein shakes. Breakfast. Toast. Cakes. Muffins. Prefer in its own or in shake. I always buy this powder from my local health shop and you can't compare the prices. Excellent value on this site!